What technology worries keep you awake at night? Maybe it's the thought of your school or college's ICT systems all going down at the same time. Maybe it's the loss of valuable teaching time that would cause, and the subsequent impact on learning. Maybe you're concerned your in-house ICT Manager is overworked? That your backups cannot be relied upon in a disaster? Or maybe GDPR and data security are your worst nightmare...? RELAX. These are the kinds of things my team and I handle every day. We partner with schools and colleges just like yours to protect the Senior Leadership and ICT teams; helping everyone work to the best of their ability to aid your school or college's most important function - teaching and learning. 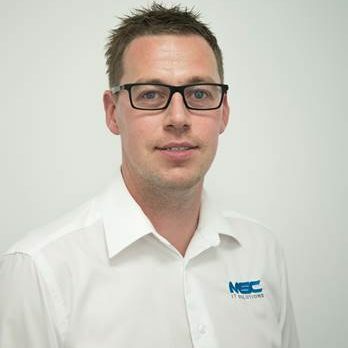 My name is Mark Cronin, (That's me in the photo) and I founded MSC IT Solutions back in June 2011 to bring an innovative and exceptional level of ICT services and support to schools and college just like yours. We have built our entire business on trust, by working closely alongside onsite staff and senior leaders within the school or college, and by tackling all of our client’s challenges head-on, giving a quick and simple resolution. As a client of MSC we will listen to you, iron out any issues you have with your systems (and even those challenges you don't even know about) and then remove any ongoing stress by putting in place solutions such as monitoring and automated maintenance procedures, so that you can focus on other priority's in your day to day job. Already got an in-house ICT team you trust? Or even an existing 3rd party provider? As well as our exceptional ICT Support Services, we also offer specialist ICT Consultancy, ICT Solutions (including project work), ICT Procurement and a plethora of other ICT services such as monthly auditing (providing detailed reporting and resolution plans when issues are detected) and monitoring specific to each individual client's needs. "When MCS IT Solutions came in, everything was mapped out for us. Mark quickly identified what we needed as an organisation, and he listened to the plans we had for the whole of our IT structure." Schools, colleges and academies across the UK have experienced the full benefits of our services. We have a proven track record of successful projects, exceptional support and happy clients. All of our services are regularly reviewed and improved to ensure that we always meet - and mostly exceed - expectations wherever possible. Our team are devoted to working alongside you to create the perfect IT solutions to meet your organisation’s needs. We are more than just your typical IT support company. We will work closely with you to ensure that you have the optimal solutions and process to keep any downtime to a minimum. With 24/7 monitoring and instant alerting, backed up by our highly skilled technical team, we will always be on hand to ensure that your systems are constantly running smoothly. If you do encounter any problems - we are always on hand to get you back on your feet as quickly as possible. We supply innovative IT services and solutions aimed at enhancing your school or college in order to operate efficiently and provide the level of teaching and learning your students deserve. It all starts with a simple and free consultation to review your current systems and services. Schools and colleges across the UK make use of our sophisticated offering when it comes to their IT systems. Our project and support teams work tirelessly to get all of your systems streamlined. As experts in IT Support, we will ensure that your systems always run smoothly using our pro-active support tools. Provide your school or college with exceptional support via MSC IT Solutions.